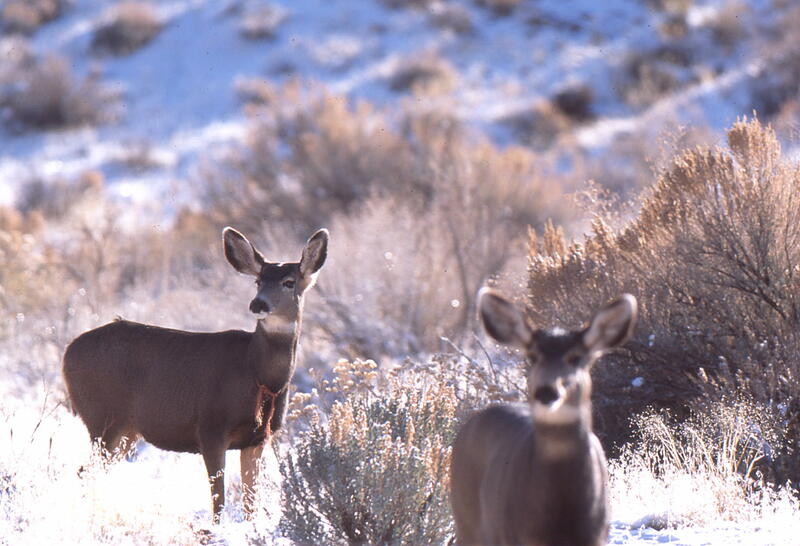 Summer – especially in May and June – brings mule deer, fawns and the babies of other species into our yards and in our recreation areas. It is easy to assume that these young fawns have been abandoned and are in need of human intervention, but the opposite is true. Does hide their fawns to protect them while they are out foraging before returning to nurse them. They also hide them when they are too young to outrun predators. Human intervention, however well intentioned, can threaten their survival. 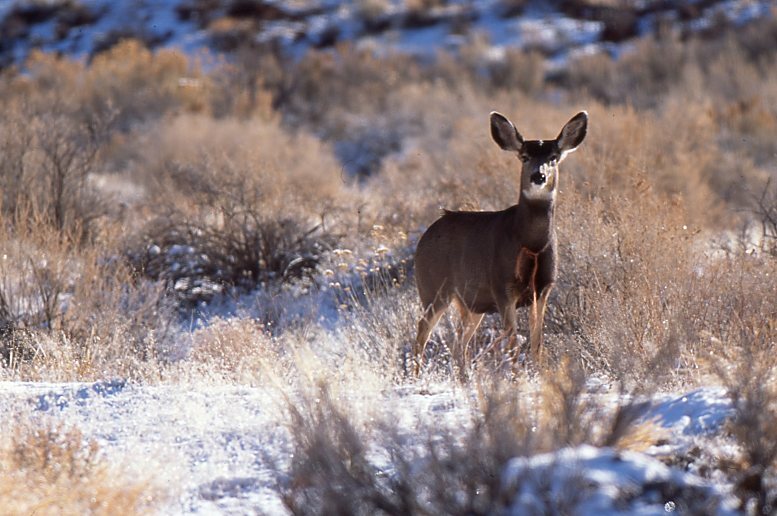 Because does protect fawns from predators, interactions between deer and dogs can also result in serious injury to dogs. Deer will protect their fawns, and often themselves, by striking out with their hooves, often with fatal results. Keeping a distance from a deer and not acting in a way that could be interpreted as threatening is good prevention.